The traditional model of aviation training – where an experienced pilot trains a student – could soon be turned on its head. A partnership between the University of Central Florida (UCF) and aviation giant Boeing, has developed new technology that will see the use of augmented reality glasses as a revolutionary tool to help trainee pilots. The idea behind the technology is to have a product that trainees can use to practice multiple scenarios from the comfort of their home. Trainee pilots will use some of the same commands that a pilot would use inside a cockpit, except, for the past year, those commands have been coming from a research lab at UCF. “So he's sitting right here in his chair and we can walk through a take-off procedure together,” Michael Eakins, from the UCF Institute for Simulation and Training, told WFTV Orlando. Eakins added that this creates a way to address the pilot shortage with more carriers coming on board and retirements outpacing hirings. However, the technology won't replace any real-time pilots in the air. 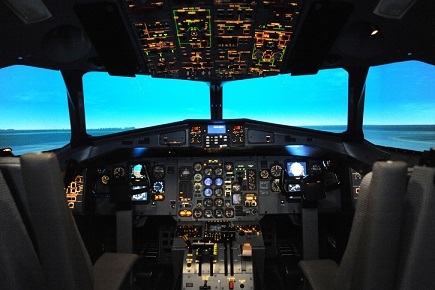 Rather, the aim is to improve the training needed for what happens in real time, involving a team in the cockpit. Elizabeth Biddle, who is from Boeing company's advanced learning organisation, said the interaction of the crew is a large part of the pilot’s job. By 2030, the company anticipates the need to train at least 600,000 more pilots to fill the need for the increased number of flights and airlines operating. The customised software has been designed for use around the world and allows the virtual co-pilot to speak a different language. Of the $146m in research money UCF received last year, $17m went to the institute for simulation and training, which developed the software. Boeing hopes to have pilots around the world using the glasses by 2020.